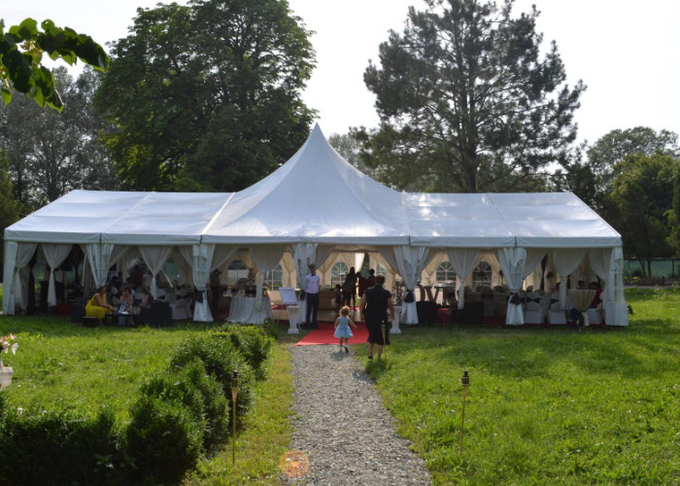 This 10x21m high peak tent is for wedding parties use. The side height is 2.5m. Wind resistance capacity is 80km/h. 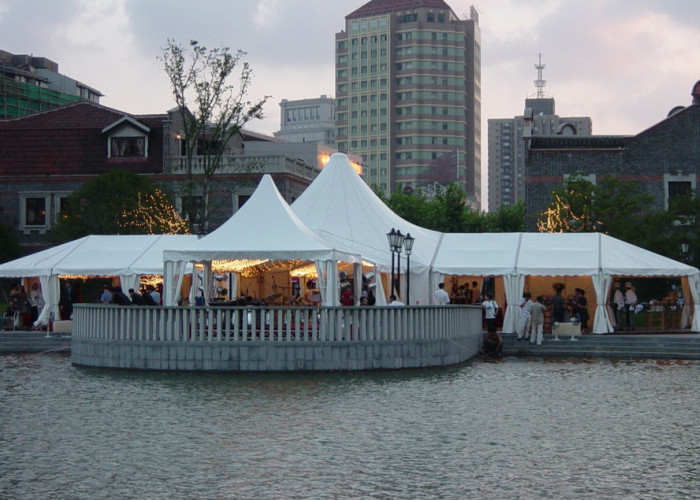 The tent size and height can be customized according to the function. The roof cover and side walls are white high quality double PVC-coated polyester textile, 100% waterproof, flame retardant to DIN4102 B1, M2, CFM, UV resistant, tear resistant, self-cleaning ability, etc. The roof cover can be replaced by transparent pvc. 2. The tent is put up by screws, easy to be assembled and dismantled, the parts is easily to transport and store. 3. The length can be shortened or extended according to your events. 4. Waterproof and fireproof, UV resistant.